It is known that GST anti-profiteering wing of Ranga Reddy district found fault with AMB Cinemas for violating the norms. Although GST Council reduced the tax on movie tickets costing over Rs 100 from 28 percent to 18 percent and those costing Rs 100 or less from 18 percent to 12 percent. AMB Cinemas continued to charge the movie goes as per the old taxation. After the issue surfaced, The Management of the Multiplex decided to pay the additional amount (Rs 35.66 lakh) collected to the consumer welfare fund. Hyderabad GST Commissionerate heaped praises on AMB Cinemas for doing the right thing. Now, This issue has been politicised by the TDP Leaders ahead of the 2019 Polls. Guntur MP Galla Jaydev alleged Income Tax Department targeted him after he spoke against PM Narendra Modi in Lok Sabha. He added, 'As they could find nothing against Me, My Family Members and Friends were targeted. That is why I-T Raids happened on Mahesh Babu and GST Wing targeted his Multiplex'. 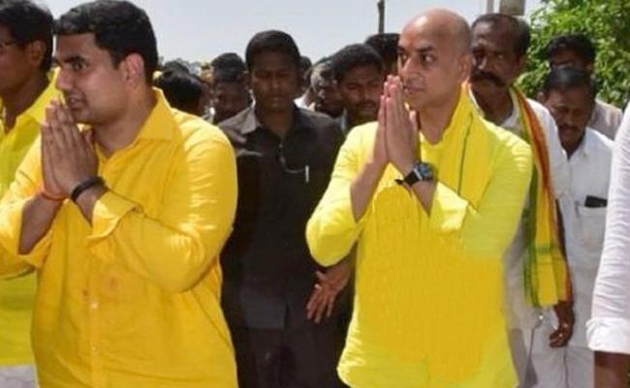 Even Nara Lokesh joined chorus with Galla Jaydev in this matter. Whether highlighting Mahesh Babu's GST issue will benefit TDP? Political Opponents have been finding fault with TDP Leaders for not even sparing Superstar for political gains. They have been pointing out that AMB Cinemas has actually corrected the mistake it committed by returning the extra amount charged.